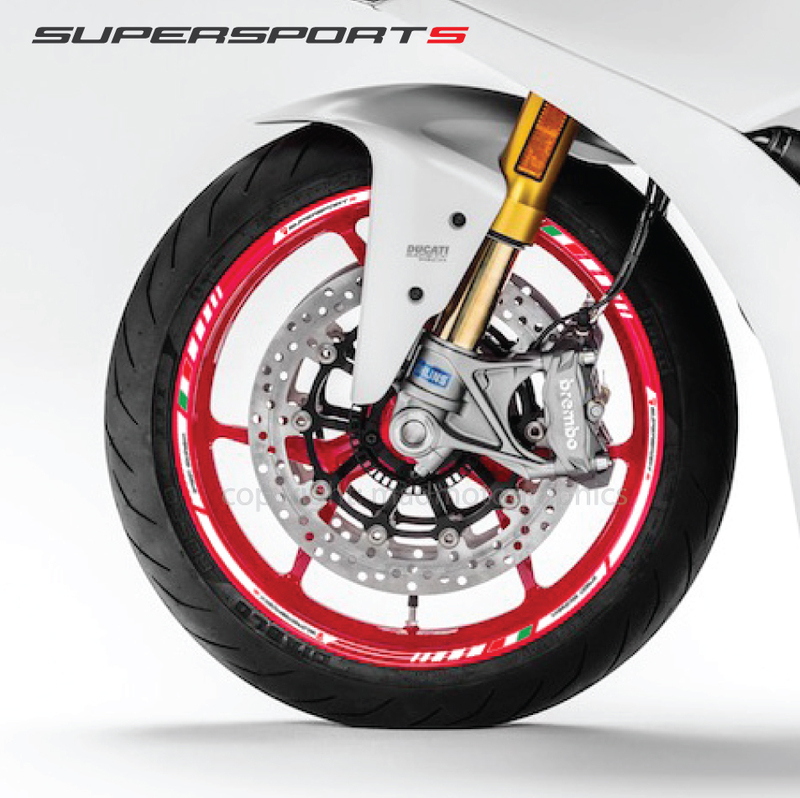 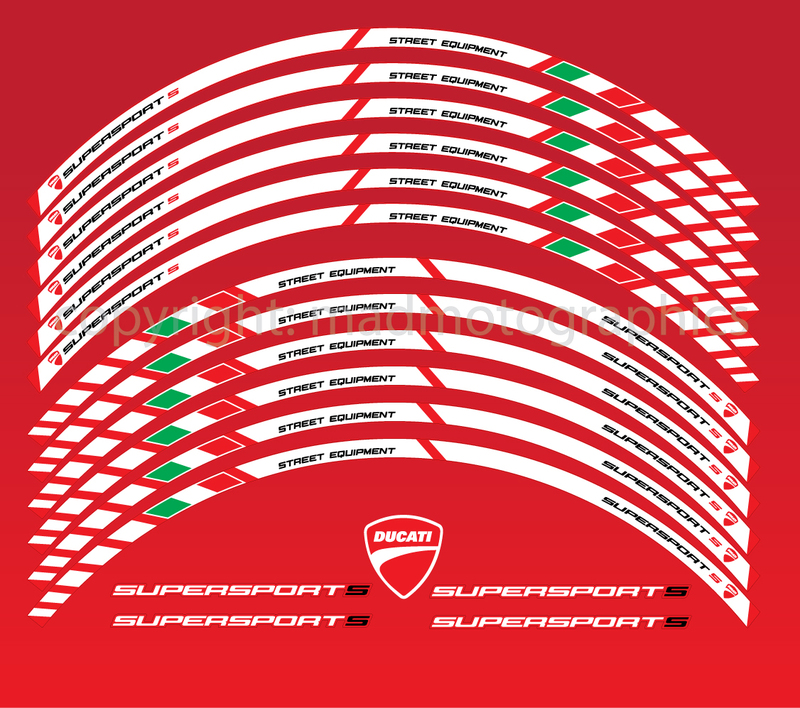 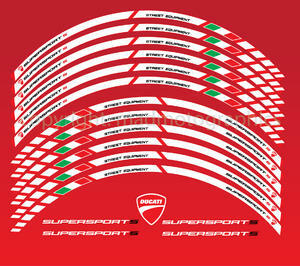 DUCATI SUPERSPORT wheel decals tricolore design - Laminated and protected. 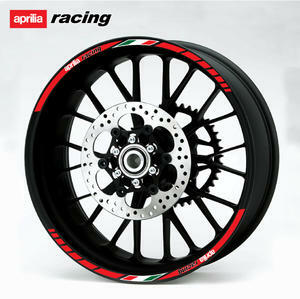 Designed to fit Red color wheels. 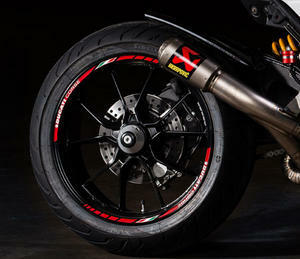 Designed to fit RED wheels!